To foster an inclusive and diverse computing culture, we are seeking support to continue the gigabit project that builds upon the diverse interests and perspectives of young men of color. Changing Expectations, a Round 1 ATX Grantee of the Mozilla Gigabit Community Fund, proposes to continue to build WebVR coding projects in the My Brother's Keeper Coding Makerspace to teach boys of color about the potential of gigabit speed networks to use Mozilla's A-Frame to make WebVR scenes. As part of the WebVR project, we’re exploring an area in which we think next-generation networks could have a big impact on learning: virtual reality. We will explore how current virtual reality technologies can be combined with next-generation networks for big student learning impact and tech workforce development. The Gigabit VR: MBK Coding WebVR Scenes project will continue to allow the City of Austin’s Carver Museum to host a much needed tech workforce development project for under-represented middle and high school boys of color which aligns with the City of Austin’s My Brothers Keeper and Spirit of East Austin initiative goals. In addition, the Gigabit project will support and help develop plans by the Carver Museum to provide access to a Gigabit speed network in the future. The students will not need a Gigabit connection at the Carver Museum to code the WebVR scenes, but this project will prepare diverse students for WebVR and Gigabit network careers. With the focus on tech workforce development, the Gigabit VR project support underrepresented young men of color to learn the tools of today in this introductory experience. The project’s vision is African-American and Hispanic youth leading in WebVR, which is enhanced when developers bring diverse perspectives. As suggested by Mozilla, there is a core promise of virtual reality (VR) in learning on tomorrow's networks. The enormous amount of bandwidth available to us through a gigabit network affords us the chance to do VR right. We can create and virtually inhabit digital environments with detailed textures and enough "room" for several people to be in one another's telepresence all at once with very low lag or latency. Given the chance to explore WebVR scenes the MBK students create themselves, we plan to experience emerging forms of teaching and learning that are possible with Gigabit VR. The teachers who participated in the WebVR pilot are all from Austin ISD and school districts in the targeted Austin metropolitan area. Dr. Phillip Eaglin (team lead) has 27 years’ experience as a STEM educator, which includes teaching middle and high school science. He was instrumental in the implementation of the US Department of Education's Eisenhower Science & Math Consortium and served as a staff member of the Texas Education Agency in the Division of Educator Preparation. 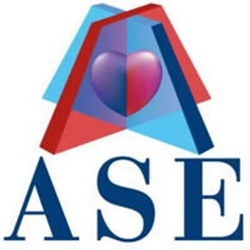 Since 2009, Dr. Eaglin has run Changing Expectations, a 501c3 that creates STEM & computer science teaching and learning opportunities in Texas for African-American, Hispanic, and other traditionally underserved students and their teachers. As noted by President Obama, the fact is that in America, some groups have the odds stacked against them across multiple generations. And by so many measures, especially here in Austin, the group that is facing some of the most severe challenges in the 21st century are boys and young men of color. 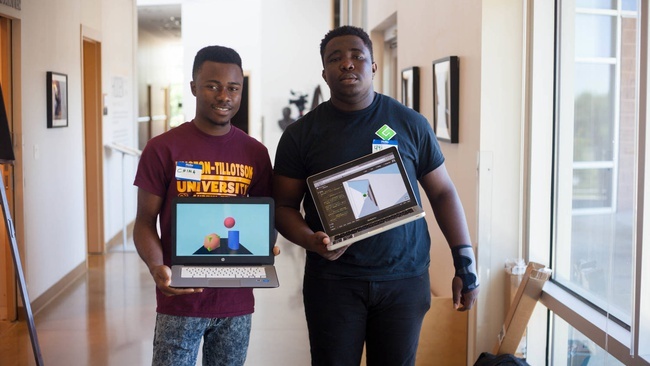 The proposed GigaTech project hopes to continue the inclusion and preparation of underserved and underrepresented young men of color for Austin's highly successful tech careers. If our team wins, the money will be used to support teacher stipends, staff time to support program development and facilitation of monthly Saturday sessions, nonprofit overhead, meals and snacks for the sessions at the Carver Museum, and stipends for young men of color to develop and present WebVR projects at a community showcase in December 2017.